Option: Red Handle Valves or Black Handle Valves. Photos of this product show all components. 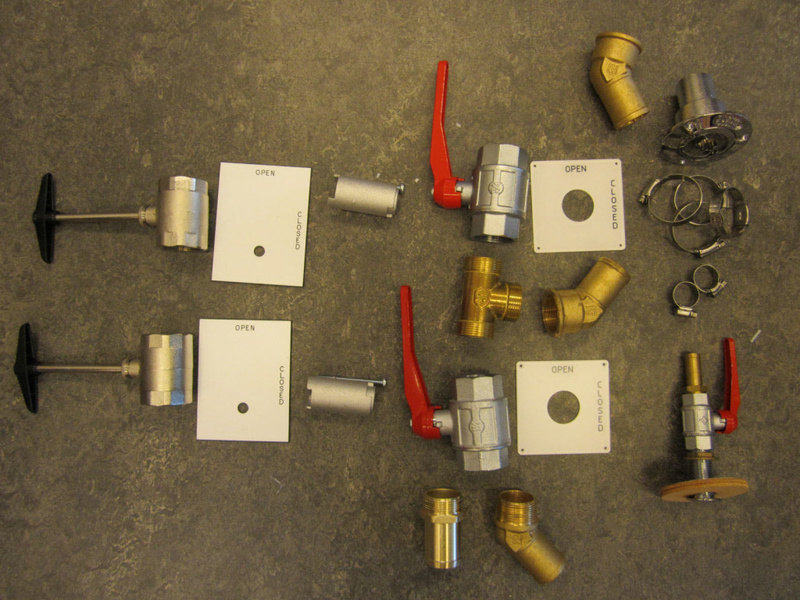 Both photos show both Red Handle Valved, including Spacer and White Panel for these valves, AS WELL as Black Handle valves and White Panel for these Valves. 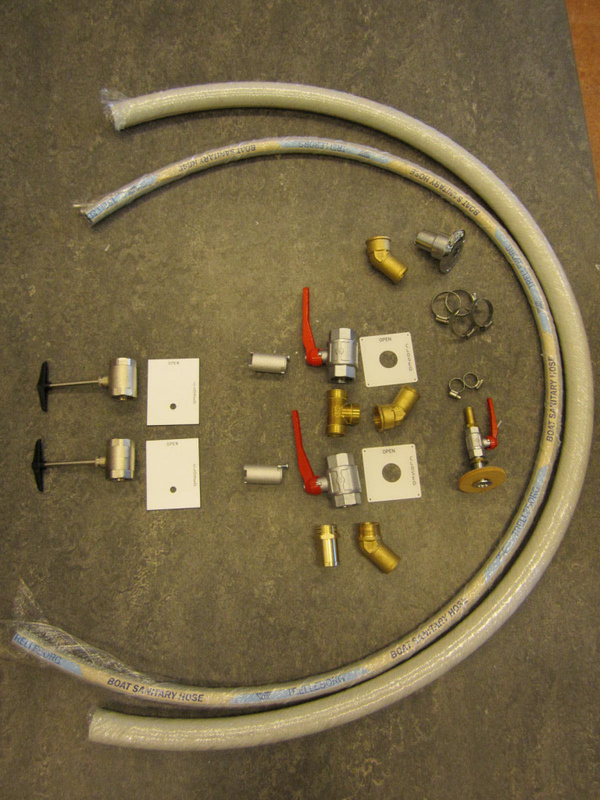 Depending on the option you choose, you will receive one or the other set of valves.